Submitted by lynn on Wednesday, September 9, 2015 - 11:03pm. Ly's Garden has been around for as long as Dennis can remember, ever since his family moved to San Diego. It's a gigantic Chinese/Vietnamese restaurant that always has seating during regular dining hours but also functions as a venue for weddings and parties. There's also a to-go counter where you can purchase the roasted ducks and meat and pastries showcased as you walk in. For this particular occasion, we were celebrating Mother's Day with Dennis's family. The waitress seated us at one of the larger tables with a lazy susan but not every table has one, especially the smaller ones. 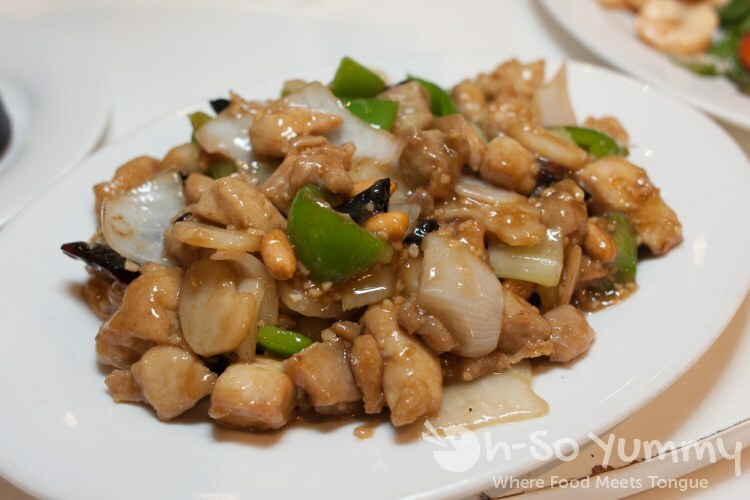 The menu is extensive with many of the common chinese or vietnamese dishes. As a large family, we were able to try many items since it was family style. We had originally ordered the seafood fried rice but it came out with shrimp instead. 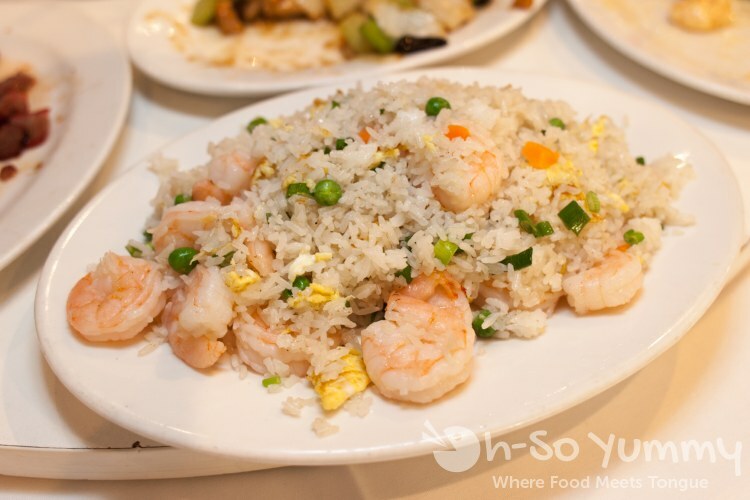 Rather than bothering the waitstaff, we decided to just keep the shrimp fried rice. Dennis thought the flavor was similar to the salted fish fried rice which he grew up on. I have a lower salt tolerance so this dish convinved me to stick with plain jasmine rice instead. 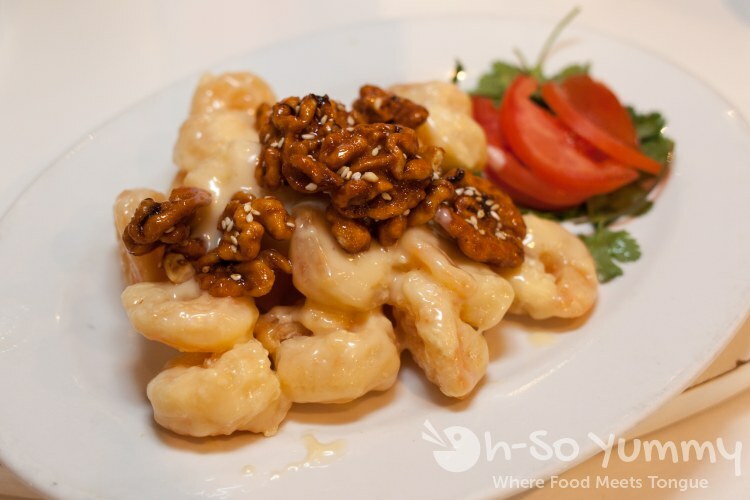 The family loves ordering the honey walnut shrimp wherever it's available. These portions weren't that large here. Each shrimp had a tiny bit of crunch under the thinner sauce. It was nothing extraordinary but it satisfied the group. 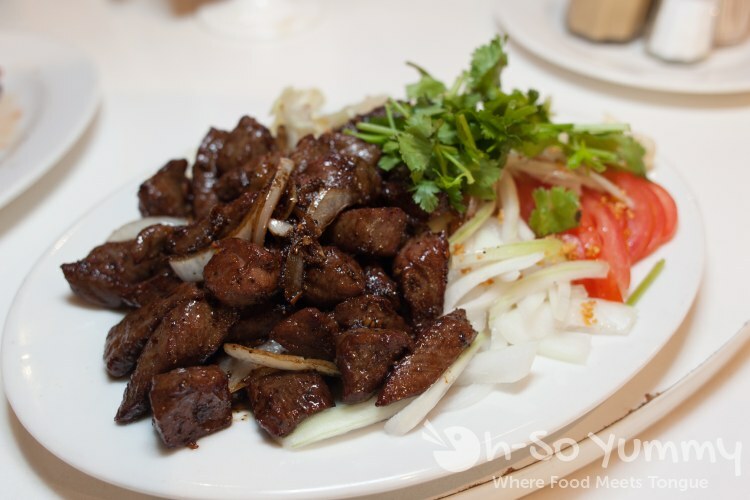 Another dish we ordered was the french beef, which reminded me of bo luc lac at Pho Ban Mai. The meat was tender and the peppers, onions and garlic did their job in flavoring the meat. 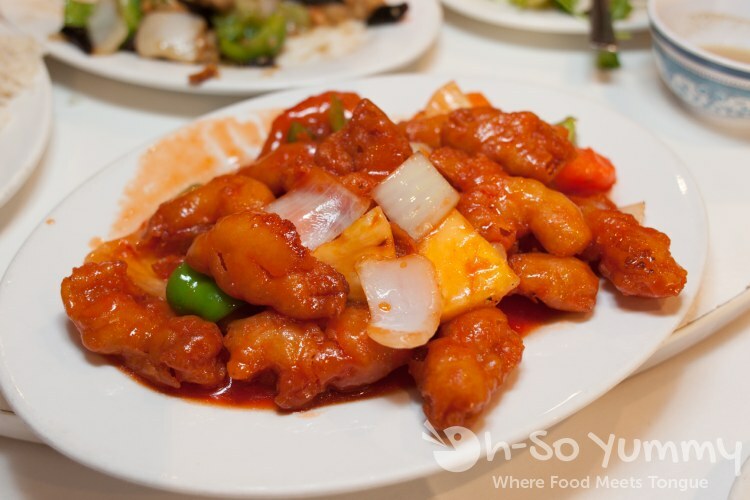 The sweet and sour chicken was nice because of the crispy golden skin while the sauce was not overbearing. This was probably the mildest kung pao chicken I've ever had. You can't even see any peppers or tinges of red in here! So is it a success because of no burning mouth? Perhaps more on the boring side. 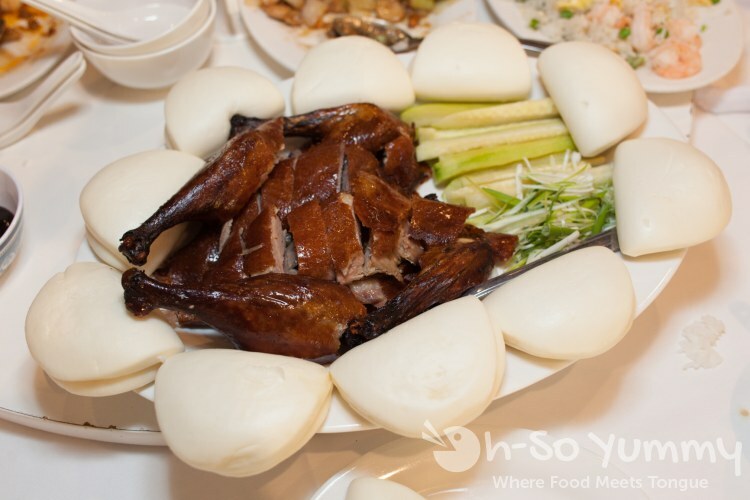 Our next item was the roasted duck with buns, perhaps with a whole duck due to our party size? Ten tepid buns surrounded the meat and the overcrowding caused one to fall off onto the table. The waiter returned with three more buns which were soft and hot! Those turned out to be the best. The typical preparation of this dish is to stuff a bun with duck, vegetables and add some hoisin sauce. The duck had crispy skin, well roasted meat and was slightly greasy, which works for this style of meat. The vegetables added some crunch. 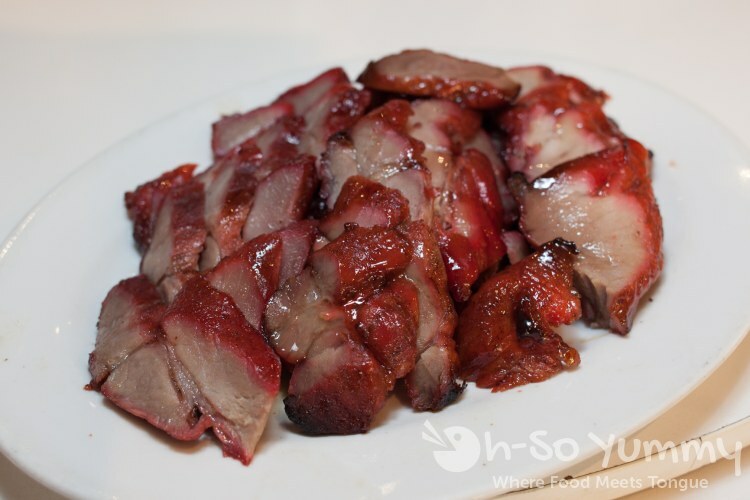 BBQ Pork, also known as xa xiu (vietnamese), or char siu (chinese), is from the take-out menu but available to order as a meal too. We thought this version was flavored well and juicy with its glistening coating. One other person was willing to eat tofu besides me so we got the Hot Braised Bean Curd, which is under the pork section! 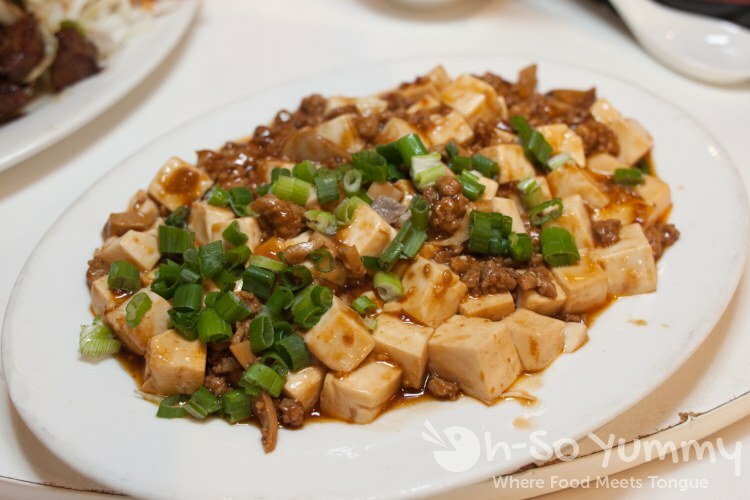 Usually I consider this tofu and ground meat combination as "Mapo Tofu." Anyone know if there's a difference? I could taste the black bean sauce and some of the fermented beans. That roasted duck looks HEAVENLY. Roasted duck is the way to go! I use to go to the dim sum place at 54th and University! That was some delicious looking meat you ate! :-) Is the flavor of bbq pork different at a Vietnamese restaurant versus a Chinese one? I'm need some roast duck now! I think the method is probably very similar because Vietnamese has Chinese influence. Let's do a taste test to find out! You are wise. Let's do it next weekend! How was the price of the peking duck? I totally agree that fresh hot mantou buns must be served with that dish (tepid ones gotta go). I'm trying to research the menu right now - they seem to have a lot of great bbq dishes that's worth the drive to try out. I don't remember the prices because family gatherings usually consist of handing over credit cards/cash and splitting evenly, especially when its the traditional asian restaurants. I may have some other pictures on my camera but these were the photos that Dennis took.